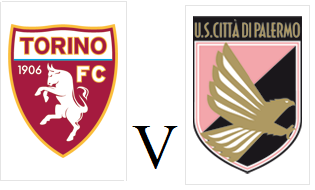 Torino will try and move on from their derby disappointment when they face Palermo at the Stadio Olimpico on Saturday evening. The Granata have lost their last three Serie A fixtures, and have not won a game in any competition since the end of October. On the flip side, opponents Palermo are in decent form and are unbeaten in their last five games - winning three of them. Palermo have a number of familiar faces in their squad, and goalkeeper Stefano Sorrentino made 106 appearances for the Granata and is likely to get a warm reception from the home fans. One player who will not get a welcome reception is experienced midfielder Enzo Maresca who angered Toro supporters by mocking Marco Ferrante's bull celebration after scoring for Juventus against the Granata in 2002.